This weekend we simplified and enhanced how recurring email campaigns operate. The first email would actually be sent at the defined frequency after the Start Date. So if the Start Date was set to 1/1/12 2:00 PM, and the frequency was set to Daily, the very first email would be sent on 1/2/12 2:00 PM, not 1/1/12 2:00 PM. Confusion around this led us to clarify the instructions on the pages setting recurring campaigns. Now, you specify the date/time for which would like the first email to be sent, and then the interval for all subsequent sends. The new instructions should eliminate confusion as to when the first email will be sent. Both the old interface, and the new interface have been updated with this change. Additionally, the new User Interface allows you to define the frequency of email sends in minutes, in addition to hours, days, weeks, and months. 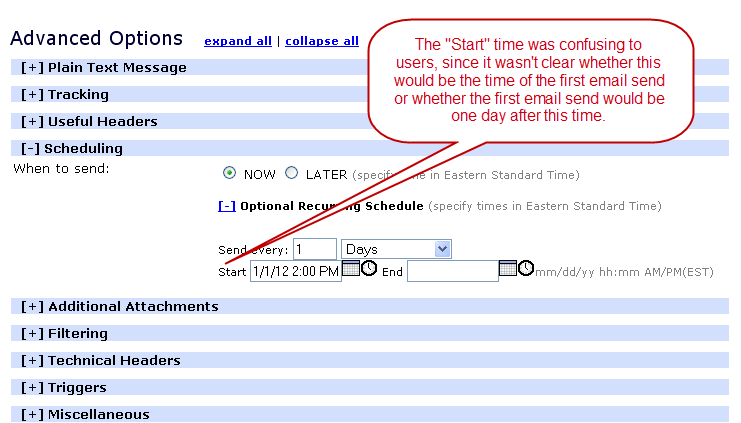 Lastly, the new User Interface requires you to define recurring campaigns under Settings --> Recurring Schedules. 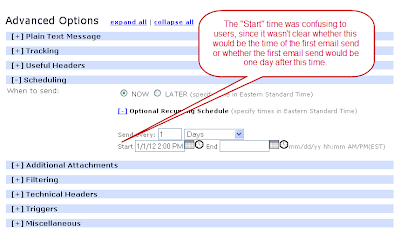 The old UI allowed you to define a recurring campaign either under Settings or on the Message composition page, and users found this confusing as well. To simplify the new interface, recurring campaigns are controlled only from one area now, Settings. That's OK... but what timezone is that? The time being returned is ambiguous. Is that in the user's local time? JangoMail time? Furthermore, the timestamp is formatted as per the custom in the US - not very good for our international customers. Therefore, we've decided to fix the issues listed above. From now on you should now get back timestamps that include a timezone and are formatted in a manner useful for an international audience. That's much better! It's clear that this timestamp is in UTC, and it's in a much more internationally friendly Year-Month-Day format. 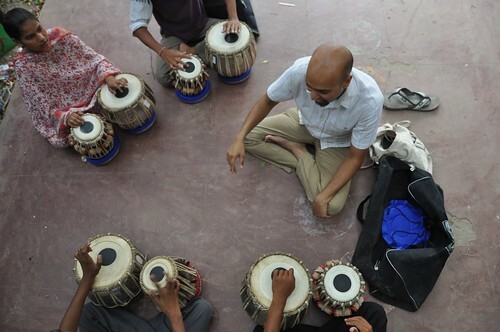 We recently had the pleasure of catching up with longtime JangoMail customer Robin Sukhadia, a musician, artist and the man behind www.tablapusher.com. Robin has used JangoMail to send monthly newsletters to his audiences for the past six years and shared some great ideas for using email campaigns to build strong relationships and create personal communication that distinguishes you from the noise and impersonality of online spaces. Here's what Robin had to say about his experiences using JangoMail. 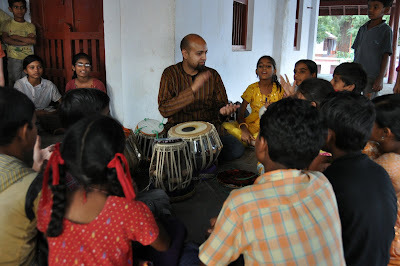 Photo by Neelanjana Banerjee. Learn more about Robin at www.tablapusher.com. JangoMail: You've been using JangoMail to market your music and art. Could you tell me a little about yourself and your work? Robin: I am a musician and an educator, focused primarily on tabla, a percussive art form that evolved on the Indian subcontinent over thousands of years. In addition to performing and teaching in India and the United States, I also travel internationally to set up and monitor innovative music education programs for poor children around the world. 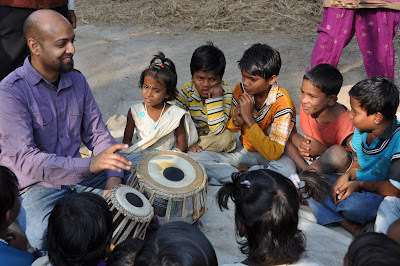 Most recently, I spent a year in India on a Fulbright Senior Research Fellowship, to research the impact of music education on the lives of street children. Music is simply an evolved form of communication… one that reaches the heart of a human being and can empower and heal in profound ways. 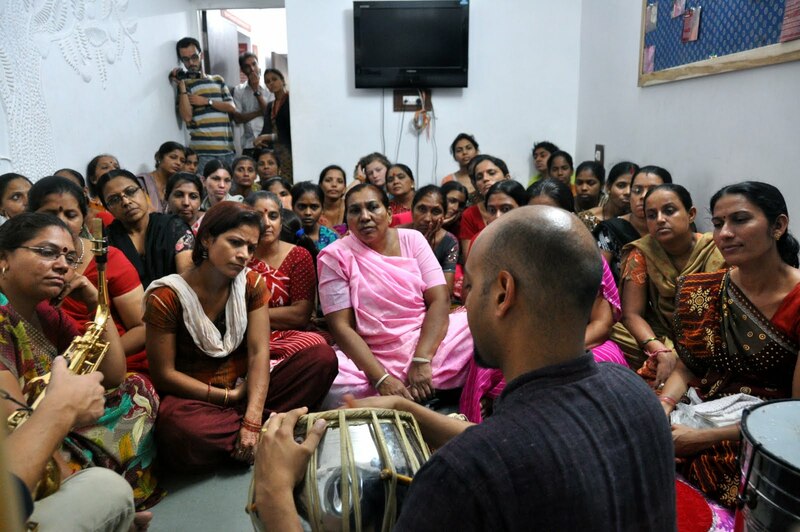 I love seeing the impact that music has on the process of healing and learning, especially the underserved. JangoMail: Your blog and website are both really interesting. How do you use email marketing to promote your work and complement those sites? Robin: For the past 6 years, I have been using Jangomail to compose a monthly HTML newsletter that reaches 1000+ of my supporters/fans/students. I use email marketing to update them on the progress of my international music education work, inform them about upcoming concerts, and to share images and video from my travels. Because music can be abstract, and my work is culturally different than Western musical traditions, I rely on vibrant HTML emails to make the music more concrete and more engaging to my fans. I also use email to draw people back to my website, Twitter, and Facebook accounts. Information gets easily buried on my website, because so much is going on each month. But an HTML newsletter helps keep my message fresh and relevant and directs my fanbase towards what is most current in my work. I design the emails myself, which always feature original photography and perspectives on how music in empowering communities worldwide. The emails usually result in loving and engaging personal responses from recipients, and it helps build traffic back to my website, www.tablapusher.com. Many new opportunities for work and collaboration have resulted from this consistent HTML email strategy. I can’t count the number of times that I have been able to secure a performance or lecture opportunity because someone has forwarded my HTML newsletter on to a decision-maker. Photo by Siddharth Stathelkar. Learn more about Robin at www.tablapusher.com. JangoMail: You've been a JangoMail client for several years, and it sounds like you've been traveling around the world for performances for a good bit of that time. Can you tell us about your experiences using JangoMail over the last few years? Robin: I've been using JangoMail for over five years, and my email list has been growing steadily over that time. JangoMail’s intuitive interface and tools have also evolved over that period of time. The HTML editor and image hosting capabilities make it easy for me construct an email and rapidly get it out to my lists. I just copy my most recent campaign, which contains a header and format, and then just upload new pictures and text, swapping it for the old. Within an hour or so, I can craft, preview, test and finally send out an email to my list of 1000+ recipients. I can do this from any computer or mobile device in the world, which has been a blessing for me as I travel quite a bit. The reporting tools help me see how many of emails get opened, what the impact has been, and how my list is growing. The latest UI update is a major improvement over the existing interface. I love the new search feature, which helps me filter and manage my email subscribers. I can see duplicates and add notes, and then filter lists by city. It is very easy to create customized lists for just a particular city like Los Angeles, for example. JangoMail: What do you see as the benefits of using email newsletters to market your music? What has helped you to be successful? Robin: I think that understanding that audiences want to stay in touch with an artist is critical for success. They want a personal communication, and they want to have insight into an artists’ creative process and development. They want to know that you are still evolving, that you are still active. While this can be done through Facebook and Twitter, an HTML newsletter can actually be more personal, more engaging and vibrant in today’s noisy digital environment. For me, I have stuck to a monthly communication schedule. No matter what happens, I try to always stick to a consistent schedule. I try to make each HTML newsletter a work of art, one that gives the reader something deeper to think about, a perspective that might not come from anywhere else… It might be through my writing, my photography, or a link to a related piece of music or news. I want to reward my supporters with a newsletter that is worth reading. Lastly, I always respond to anyone that writes to me after receiving an email from me. I do it in a timely and genuine way, because I value each and every person that reads my newsletter. I want them to feel lucky to be on my list, and hopefully share it with others because they value being on it. I want them to know that I am accessible. JangoMail: Is there anything else you'd like to tell us and other JangoMail clients about? Robin: Consistent and clean design is critical to building a strong email newsletter that results in growing your list. Good photography and quality graphic design is essential. It doesn’t have to be extravagant or expensive; it just needs to be clean and have space. Adhere to style guides for your newsletter, so that over a period of time, your audience recognizes your identity through your masthead, your fonts, and design aesthetic. It helps them see you as more grounded, more clear in your message. JangoMail makes it easy to do all of this. Create a simple template and formula for your design, replicate it, and integrate valuable information each time making your HTML newsletter a joy to read! JangoMail: Thanks for the great ideas, Robin! Your newsletters really are a joy and we enjoyed getting to catch up with you! Thanks to Robin for sharing his time and thoughts about music, email marketing, and how newsletters can help you build and strengthen a fan or customer base. If you'd like to learn more about Robin's work, visit his website: www.tablapusher.com. We hope you enjoyed hearing what he had to say - and remember that we always love to hear from our customers. If you have an interesting story about using JangoMail, let us know!